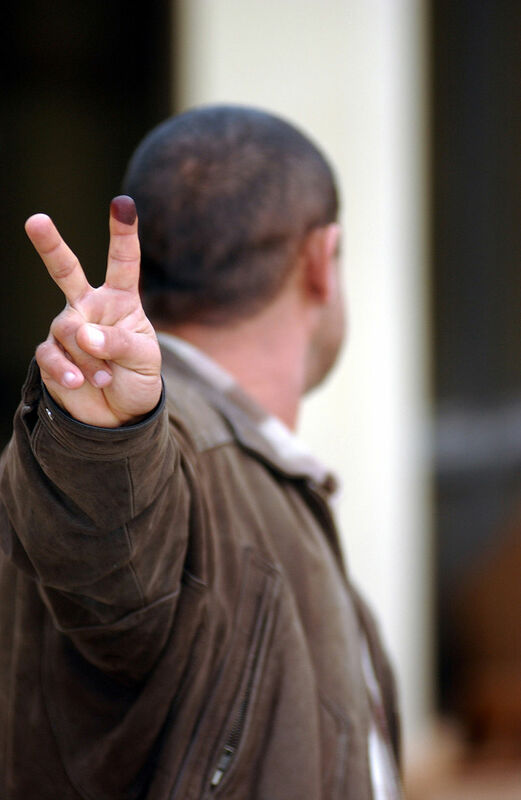 Anonymous voter shows stained finger during the Iraqi election of 2005. The only way that Politics can override, control, and dictate how law is applied, is if “we the people” allow this to happen. And yet, it is happening right before our eyes. For decades corrupt politicians have been getting away with out-and-out theft, over reach by use of Federal power, extortion tactics, and out-and-out conspiracy to murder their adversaries, Electronic Voting Machines are no exception. Politicians have pretty much covered all of their tracks, including the infiltration and control of the civilian Law Enforcement Service. It is sad to say that the control over 50 percent of the over 3300 sheriffs that exist, which are elected to be the highest law enforcement officer in any county, within a state, is, unfortunately, under the direct control of this particular corrupted federal government, by the use of money and power. Local elections, historically, are easy prey for Voter Election Fraud and manipulation, and blatant acts of voter corruption as evidenced by recent incidents across our country, and by the 1946 “Battle of Athens, TN,” whereby armed military veterans had to wrestle away the ballot box from the local sheriff in order to accurately count the votes for their local election, which coincidentally, ousted that same corrupted sheriff. We are currently faced with that same dilemma in this most important ever Presidential Race for the White House. The fraudulent tool that is presently being used is the long term infamous “Electronic Voting Machine,” which I might add, has time after time been proved to be easily manipulated, tampered with, and hacked by criminals that have expert computer skills. Time and time again, computer experts have voluntarily come forward and testified in Court as to how vulnerable these electronic voting machines, as well as any other manufactured electronic machines , are, to yield and become a slave to the criminal element by means of direct or remote electronic tampering. The Public has become numb to and blindly complicit in the use of Electronic Voting Machines for decades, and have developed a false sense of security in their use. The ban on and discontinued use of these electronic voting machines, permanently and forever, by European countries, should be some kind of obvious signal to us that there is a problem with the use of these machines. There is no room for complacency regarding this issue. Do whatever you can to help get rid of these Electronic Voting Machines, not only in our State of Nevada, but throughout our entire country, and do it immediately, if not sooner. A simple letter to the Secretary of State, indicating the immediate replacement of these electronic machines by paper ballots with receipts, will do. I think most of us can agree that the last seven years of this particular Federal government, have been a total disaster, with the election of a total fraud of an American to the Office of the President of The United States of America, who has consistently attempted to ruin our country. America used to be great; it is not now, yet it can be great again, as soon as we get rid of the political trash in our government, and un-incorporate our country. We can accomplish this goal and make our country great again, by the use of the Ballot. Vote these crooks out of office, and replace them with Honorable, Trustworthy representatives that place America and its citizens first and foremost. The Electronic voting machines are rigged; get rid of them now and forever. Replace the voting process with the tried and true, Paper Ballot system with a receipt, and let the count be done right at the voting precinct, by several vetted American Patriot volunteers. If someone has a better idea to keep the vote honest and accurate, please step up and voice your opinion; time is getting short on this most important election, which in no way should be allowed to continue to use electronic voting or tabulation machines in any manner whatsoever. Just a Note; Anyone that disrespects, Our National Anthem, Our Flag, or My Country, I will then most assuredly disrespect them. ← Is the System Rigged? You Betcha.